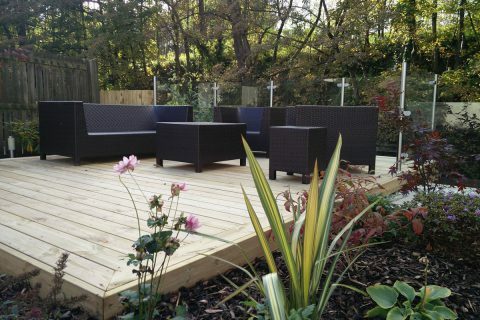 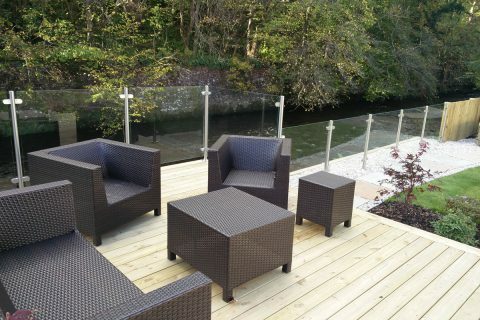 We replaced the existing deck boards and removed the balustrade around the edge to create a more open, contemporary look to the existing smaller decking. 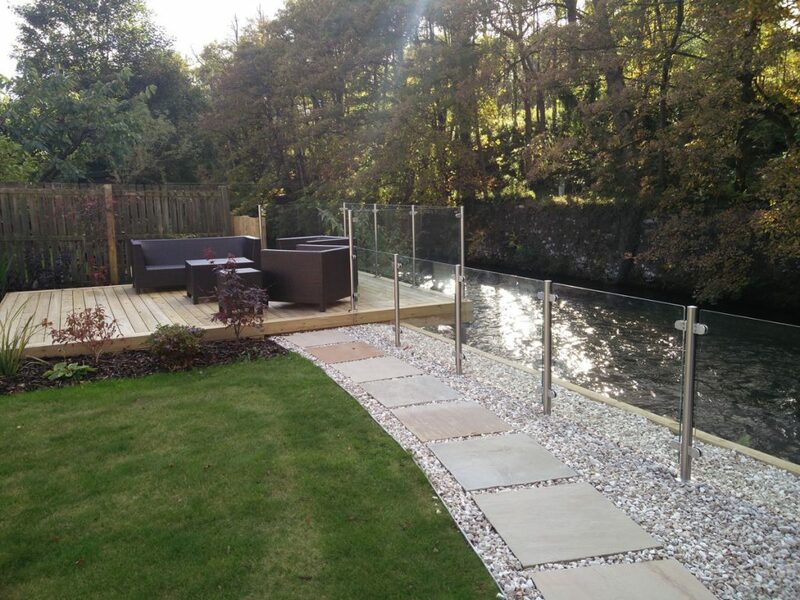 A new stone path links round the main deck. 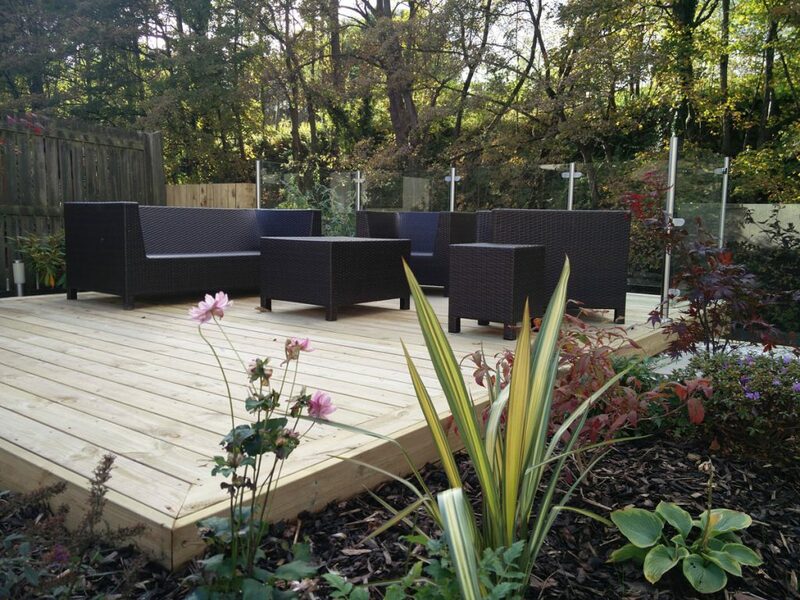 We added new planting around the decking to make it feel enveloped by nature. 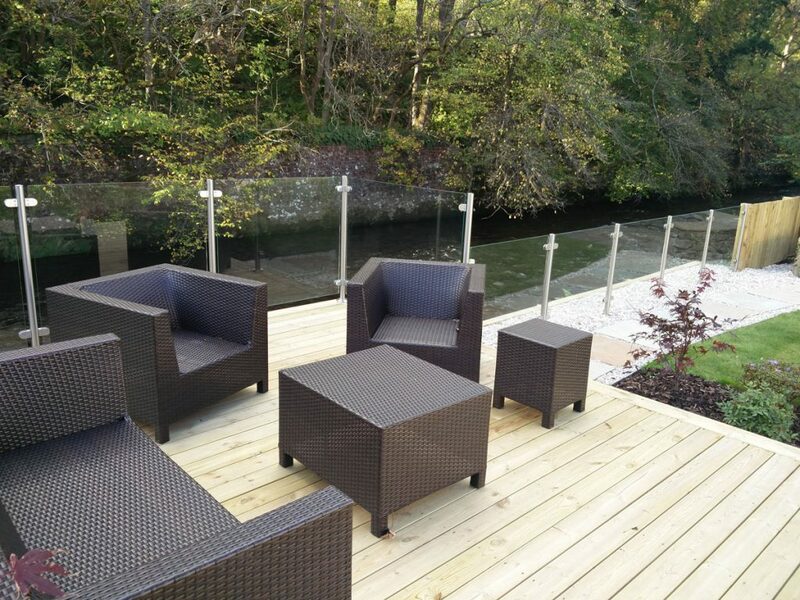 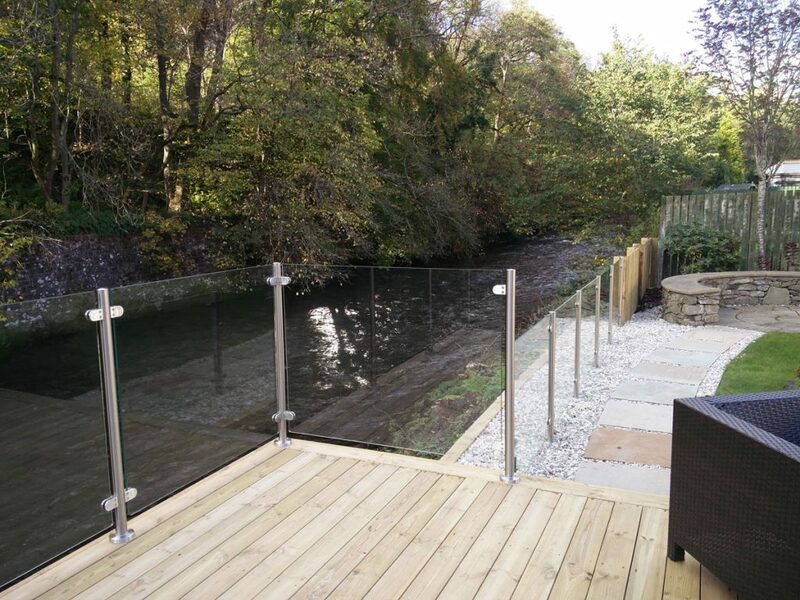 A beautiful glass balustrade allows wonderful views of the river at the bottom of the garden. 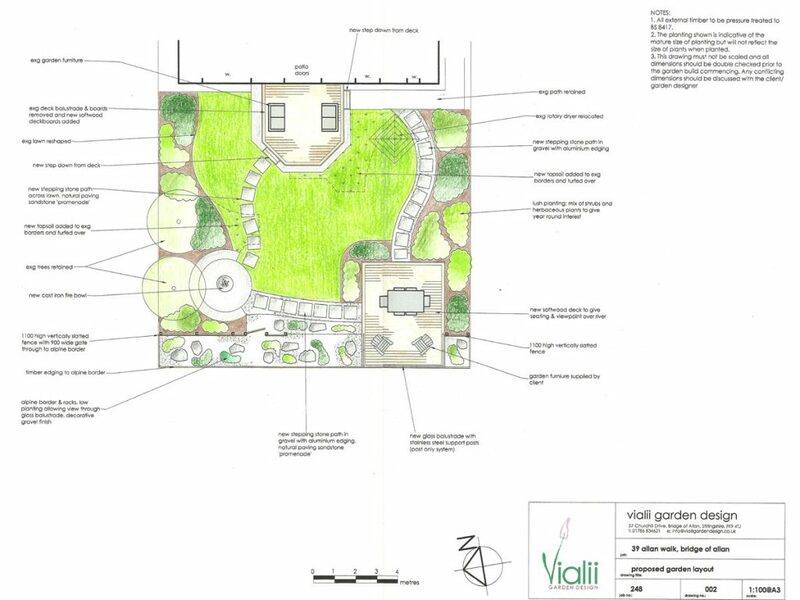 A new path links round the existing stone seating area, making it feel part of the garden design. 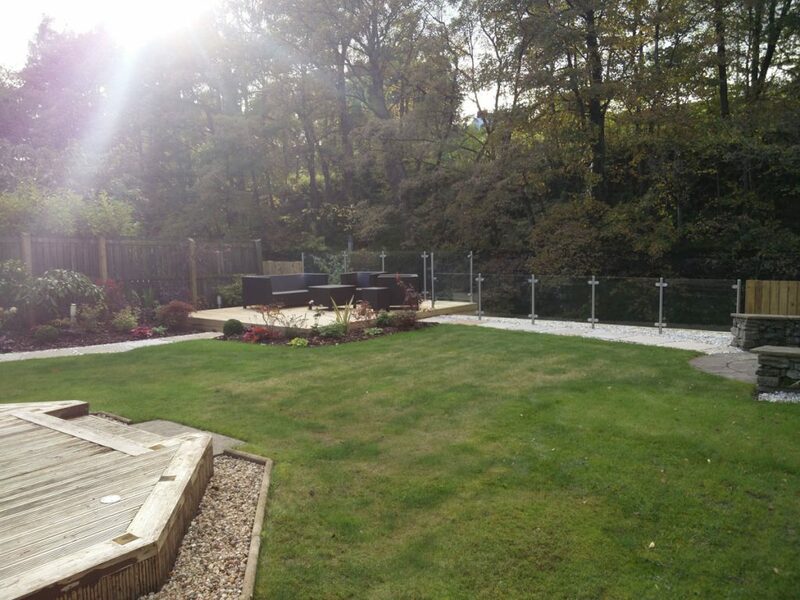 The existing grass was reshaped to fit in with the new garden. 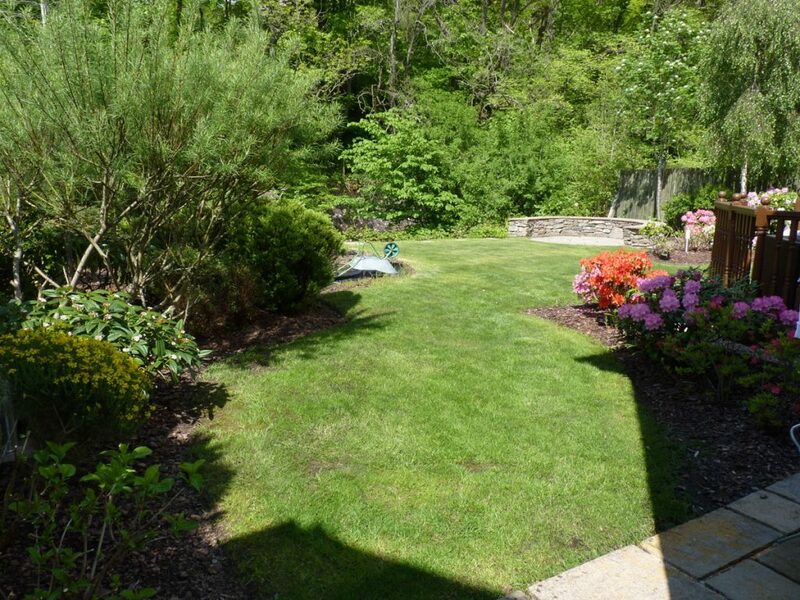 A lovely mix of planting was added including astilbe, crocosmia and lots of varieties of heuchera giving splashes of colour throughout summer. 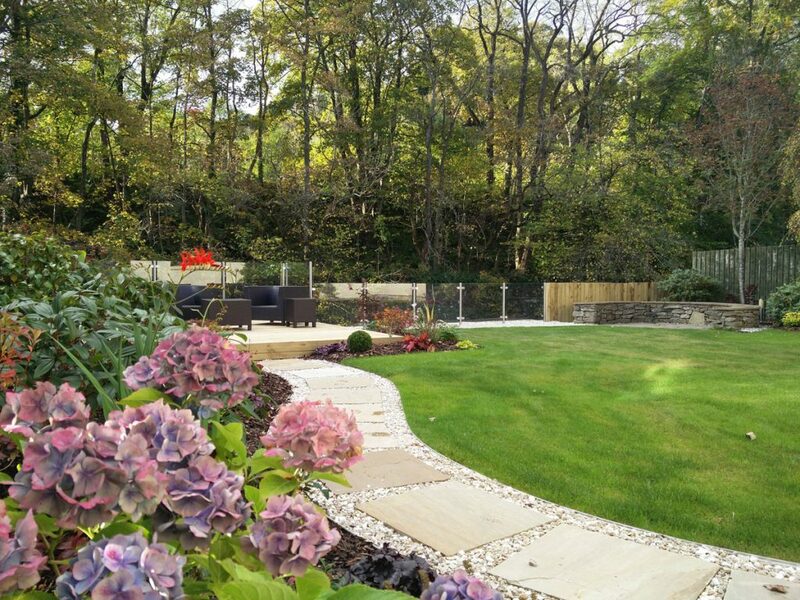 Shrubs add structure and colour and include euonymus elata, lots of varieties of hydrangea, hypericum ‘Magical White’ and phormium ‘Apricot Queen’. 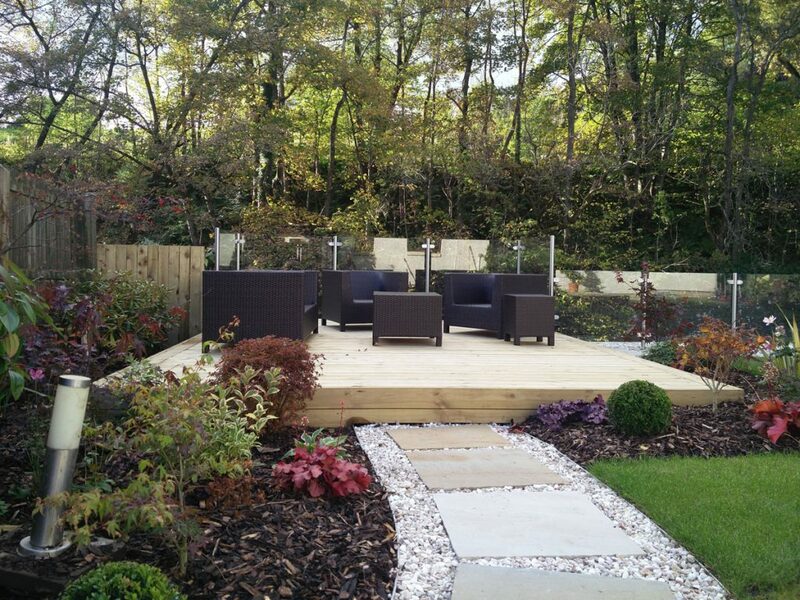 Four different varieties of acer were added to the garden adding height, texture and colour to the garden.